OIC Heavy-Duty Padded Hndl 3-Hole Punch, Silver by Officemate at Transparent University. MPN: 90082. Hurry! Limited time offer. Offer valid only while supplies last. 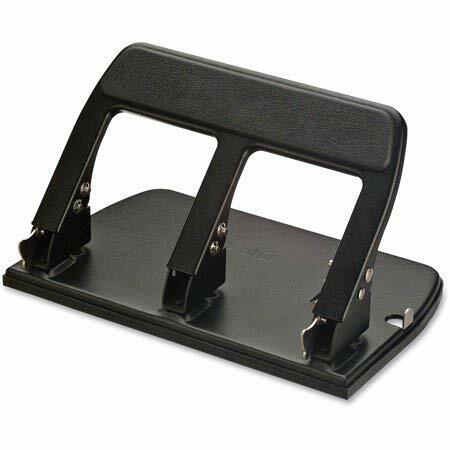 Heavy-duty, three-hole punch with padded handle punches three 9/32'' holes in up to 40 sheets of 20 lb. paper. Lockdown handle allows easy storage.